Internationally known as one of the best kiteboarding and surfing retailers, lesson centers and destinations in the world REAL Watersports is proud to call Hatteras Island home. 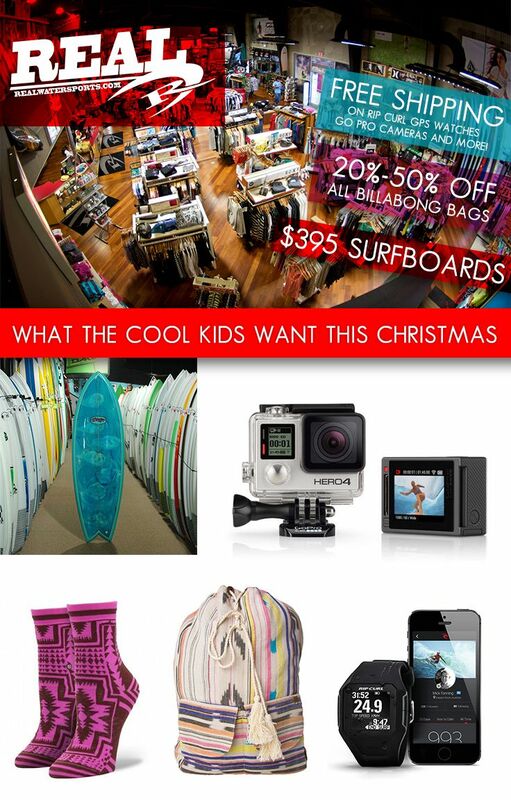 Their team of experts is down to earth and eager to help you find just what you’re looking for, whether that’s the perfect Stand Up Paddleboard or the coolest new pair of shades. Here are some of their favorite gift ideas this holiday season, each with an offer ranging from free shipping to $100 OFF! 1 – Catch Surf “Beater” Boards – 30% OFF – The Grom Favorite, this soft style, slick-bottom board is being ridden by stoked kids everywhere. From first rides to 360-spinners and shove-its, the Catch Surf Beater Board is endless fun. 2 – Strive “Skip Jack” Fish Surfboard – $395 ($100 OFF) – The Strive Skip-Jack Fish is the perfect easy paddling, user friendly design for a wide range of waves. The board offers classic soulful lines and flow, with modern maneuverability. 3 – Rip Curl Search GPS Surf Watch – FREE SHIPPING – The Search GPS is the worlds first GPS Surf Watch. Auto-sync tides to your location, track your session and share it with friends. GPS Tracking along with wave count, top speed and more. This watch is SOLD OUT many places – order yours from REAL today! 4 – GoPro HERO4 Black and HERO4 Silver – FREE SHIPPING – The new HERO4 cameras from GoPro are the perfect gift for any sport enthusiast. Countless surfers, snowboarders, fishermen, kayakers, hunters and more are using the HERO4 cameras to capture the action and share it with the world. The Black Edition is the most advanced GoPro ever with exceptional image quality and high frame rates. The Silver Edition is the first GoPro to feature a built-in LCD screen for reviewing your pictures and videos. 5 – Billabong Purses & Bags – 20-50% OFF – From the beach to the city, the latest bags and purses from Billabong are the perfect gift for ladies who love surf-inspired style. 6 – Stance Socks – 20-60% OFF – These funky-fun socks from Stance are the perfect stocking-stuffer! The rest of your outfit is awesome, why shouldn’t your socks be too? This afternoon Dare County supplied the official notice that there will be no visitor access to Rodanthe, Waves or Salvo until sometime after 10/06/11. As a result, there will be no check-ins for homes in these villages until after 10/06/11. Here is a link to the official announcement. It is Bulletin #38. If you have reservations for the week of 10/1/11 for Rodanthe, Waves or Salvo and have purchased travel insurance, Travel Guard will not cover your claim since 30 days have passed since the mandatory evacuation was ordered. However, we are trying to find ways to help and are providing answers as we get them. If you did not purchase travel insurance, we do understand your disappointment but we cannot offer any refunds or other accommodations. We are truly sorry. The villages of Avon, Buxton, Frisco and Hatteras are open to visitors via ferry from Swan Quarter or Cedar Island through Ocracoke to the Hatteras Village ferry dock. If you have reservations for these villages, whether or not you purchased travel insurance, we encourage you to keep watching for openings on the ferry. 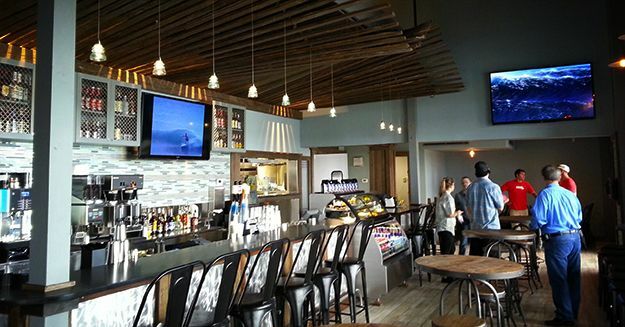 Reservations could open at any point and we don’t want you to miss your opportunity to come. 69% of our guests with reservations for 9/24/11 in these four villages are confirmed to be arriving this weekend via ferry, and we hope to see you next weekend. There are many businesses back open on the island ready to serve you and of course the beach is as beautiful as ever. The ferry route from Swan Quarter or Cedar Island requires a reservation and there is a fee for a portion of the trip. To make a mandatory reservation, call 1-800-293-3779 (press 2) or online at www.ncferry.org. If your vacation home is not habitable for your stay, you will receive notification from us prior to your scheduled arrival date. If you plan to check-in for your vacation, please notify us of your ferry reservation so that we may prepare your home. Call us as soon as you make your ferry reservation at 1-800-237-1138. We greatly appreciate your patience and understanding during the aftermath of Hurricane Irene. We will continue to update our blog site http://hatterasblog.surforsound.com and our Facebook page www.facebook.com/surforsound with information as it comes available. 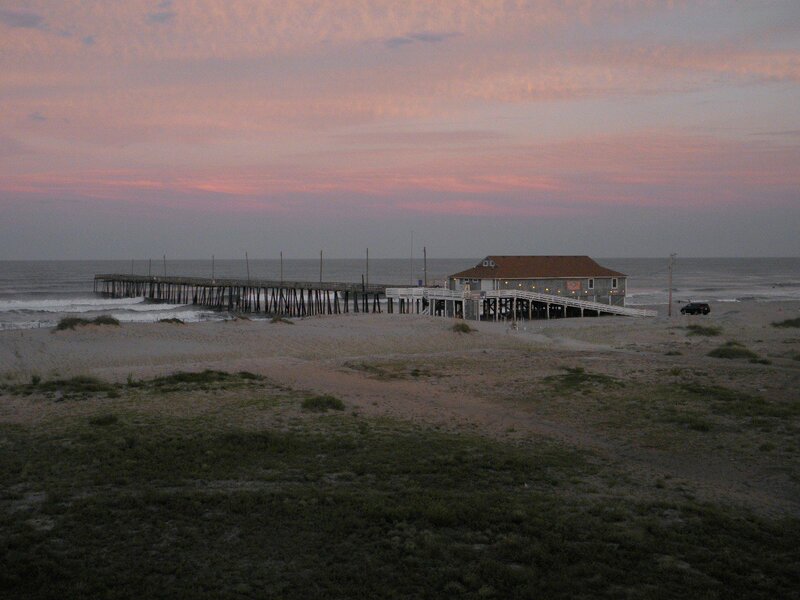 Experience the tranquility of Hatteras Island at the Rodanthe Pier! 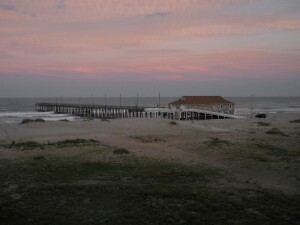 Click here for vacation homes in the Rodanthe/Salvo/Waves area. Photo submitted on Facebook by Flossy Beitzel. Who says the Fall season is slow? 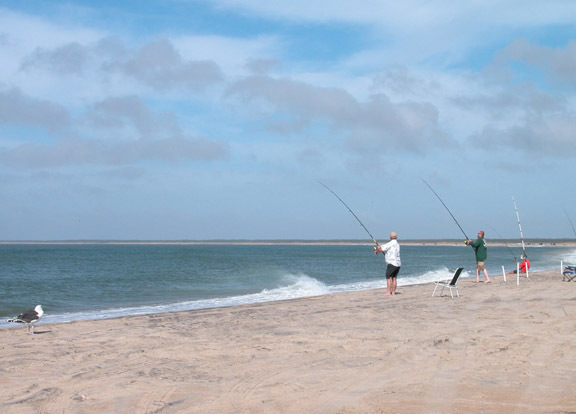 This past week, Hatteras Island was the place to be with a multitude of events going on, including the birdwatchers’ Wings Over Water Festival, the Outer Banks Marathon, and perhaps most importantly, the annual Cape Hatteras Anglers Club Fishing Tournament. The tournament, held every November since 1958, carried on as planed despite a couple of very rainy days, and by judging day on Saturday, the weather was simply perfect. 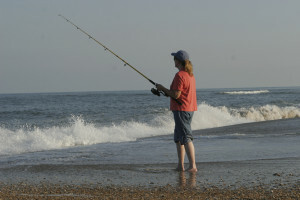 A breezy week turned into a gorgeous weekend as the Northeast winds subsided long enough for anglers to hit the beaches in T-Shirts, and offshore boats to enjoy calm waters all the way to the Gulf Stream. 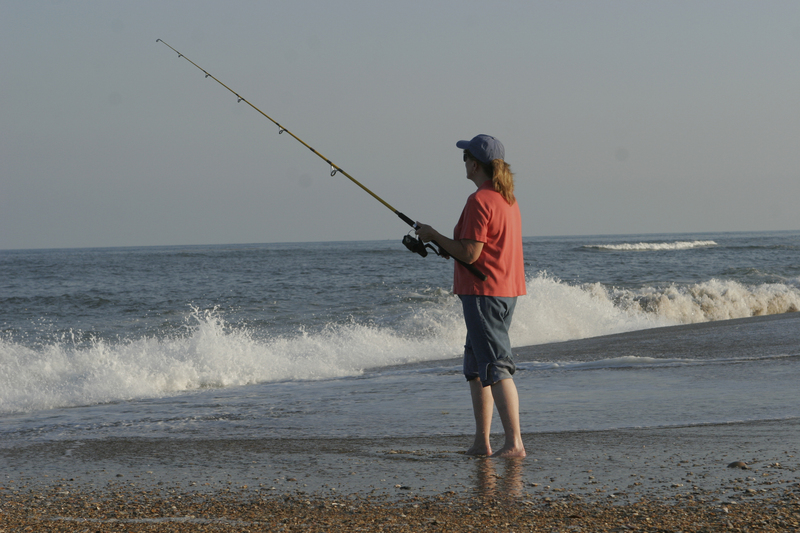 Lots of fish were being reeled in from all over the Outer Banks, including lots of drum, blues, sea mullet, and even speckled trout around the jetties near the Cape Hatteras Lighthouse. We enjoyed a few record setting warm days early in the week, with no wind and gorgeous beach days, followed by a little coastal storm over the weekend to mix things up. This is an indication that fall has officially arrived. If you need further proof, the dunes are covered with yellow wildflowers (our version of fall foliage), and the drum have been reeled in from just about every beach and pier on the island. With a couple rainy days here and there, anglers stayed a little damp, in and out of the water, but at least the fishing made a couple drizzly days worthwhile. 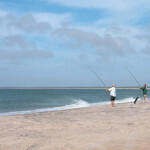 Early in the week, there were lots of blues and sea mullet to go around, as well as a few big drum catches.